Buyers shopping for an Infiniti should probably check out the Signature Edition models that are debuting at the 2017 Chicago Auto Show. Based on the Q50 sedan and QX80 crossover, the special models bundle together popular options into an attractive package. The Q50 Signature Edition is exclusively available with the 3.0-liter twin-turbo V6 with the 300 horsepower (224 kilowatts). 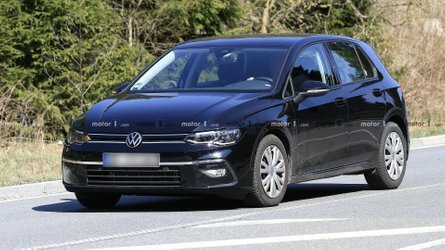 The major exterior upgrade is a set of 17-inch brightly finished wheels, and there are plenty more amenities inside. 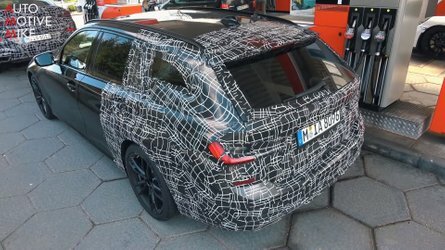 Navigation with voice recognition is standard, and the system also works with the transmission to adjust the gear changes. The models also come with a tinted moonroof. The Q50 Signature Edition is already available at dealers starting for $39,605 after $905 destination for a sedan with rear-wheel drive or $41,605 for one with all-wheel drive. For reference, the least expensive rear-wheel drive Q50 with the 3.0-liter engine generally costs $41,555 or $43,555 with all-wheel drive. After sales success last year, Infiniti is also introducing QX80 Signature Edition again for 2017, and they come with even more amenities than the Q50. On the outside, the models feature chrome mirror cars and 22-inch wheels with a dark finish. Inside, there’s Saddle Tan leather upholstery. Drivers also get a robust assistance suite that includes Backup Collision Intervention, Blind Spot Warning, Intelligent Cruise Control, Forward Emergency Braking with Pedestrian Detection, Predictive Forward Collision Warning, Blind Spot Intervention, and Lane Departure Prevention. 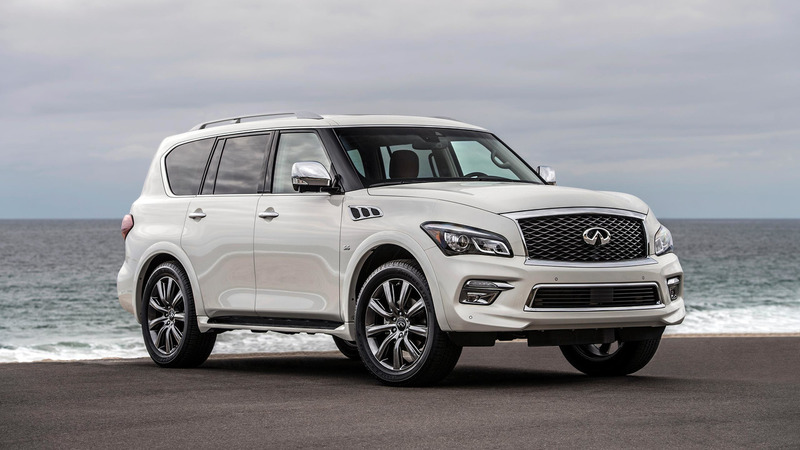 The QX80 Signature Edition goes on sale in the United States in May, but Infiniti is not discussing pricing yet. A 400-hp (298-kW) 5.6-liter V8 is the only available powertrain. 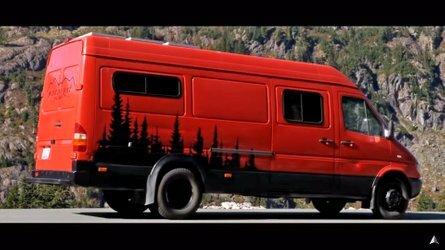 Customers can choose between two- or four-wheel drive and pick whether the cabin carries seven or eight passengers. Motor1 has a team on the ground in Chicago for full coverage of the event. Look for live images and more from the Windy City. 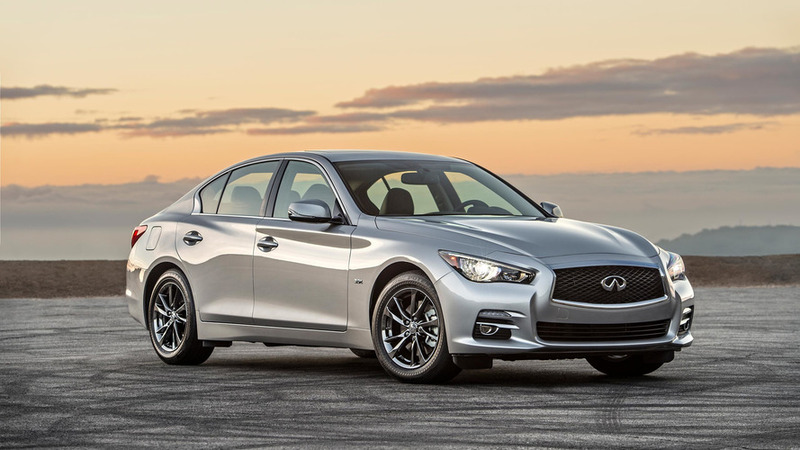 INFINITI introduces the new Q50 3.0t Signature Edition, equipped with the company’s award-winning, 300-horsepower VR-series 3.0-liter V6 twin-turbo engine, the sport sedan’s most popular features and special, bright-finish alloy wheels. QX80 Signature Edition returns for a second year, offering unique content such as a leather-appointed, high-contrast Saddle Tan interior; chrome outside rearview mirror caps; a suite of advanced driver assistance features; and unique, dark-finish 22-inch wheels. 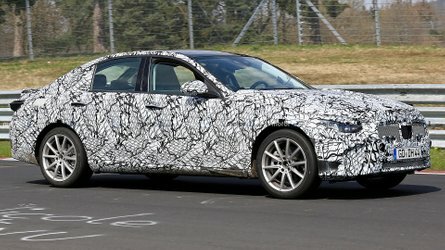 FRANKLIN, Tenn. (Feb. 9, 2017) - INFINITI today announced the addition of the new 2017 Q50 3.0t Signature Edition and the 2017 QX80 5.6 Signature Edition, which offer a blend of popular equipment and unique design features. 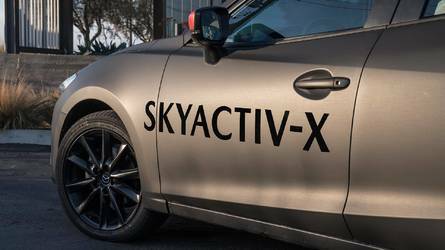 Both models will make their public debuts at the 2017 Chicago Auto Show, which runs from Feb. 11 to 20 at Chicago’s McCormick Place. 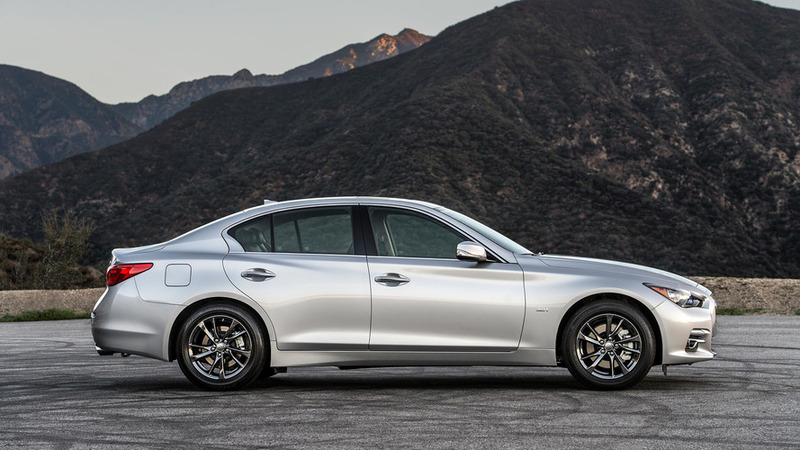 The new sport sedan model has INFINITI’s award winning 300-horsepower VR-series 3.0- liter V6 twin-turbo engine and is available with a choice of rear-wheel drive or INFINITI’s Intelligent All-Wheel Drive. 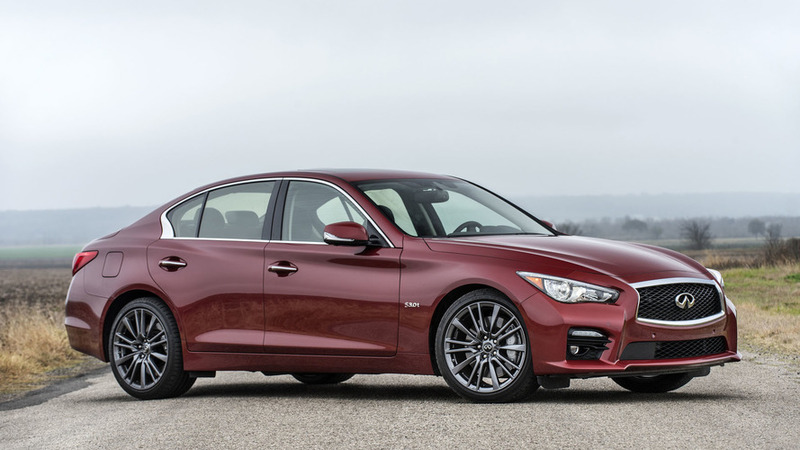 Pricing for the Q50 3.0t Signature Edition, which went on sale in January, is $38,700* for the rear-wheel drive model and $40,700 for the Intelligent All-Wheel Drive model. The INFINITI QX80 Signature Edition returns for a second year, bringing unique content such as a leather-appointed, high-contrast Saddle Tan interior, chrome outside rearview mirror caps, clear High Mounted Stop Light and dark-finish 22-inch forged aluminum-alloy wheels with 275/50R22 all-season performance tires. The QX80 Signature Edition includes a suite of INFINITI’s popular driver assistance technologies, including Backup Collision Intervention (BCI), Blind Spot Warning (BSW), Intelligent Cruise Control (Full-Speed Range), Distance Control Assist (DCA), Forward Emergency Braking with Pedestrian Detection, Predictive Forward Collision Warning (PFCW), Blind Spot Intervention (BSI), Land Departure Warning (LPW) and Lane Departure Prevention (LDP). The QX80 Signature Edition is available as a seven- or eight-passenger vehicle and is offered in 2WD and 4WD versions, both of which are equipped with an advanced 400-horsepower 5.6-liter DOHC V8 engine featuring Direct Injection Gasoline (DIGTM) and VVEL (Variable Valve Event and Lift) technology. QX80 4WD models feature INFINITI All-Mode 4WD® with computer-controlled transfer case and three settings (Auto, 4H and 4L). The QX80 Signature Edition is offered in four colors - Hermosa Blue, Graphite Shadow, Black Obsidian and Majestic White - and it will be available at INFINITI retailers nationwide beginning in May. Pricing will be made available closer to the on-sale date. *MSRP excludes applicable tax, title, license and destination & handling fees of $905. Dealer sets actual price. Prices and specs are subject to change without notice.